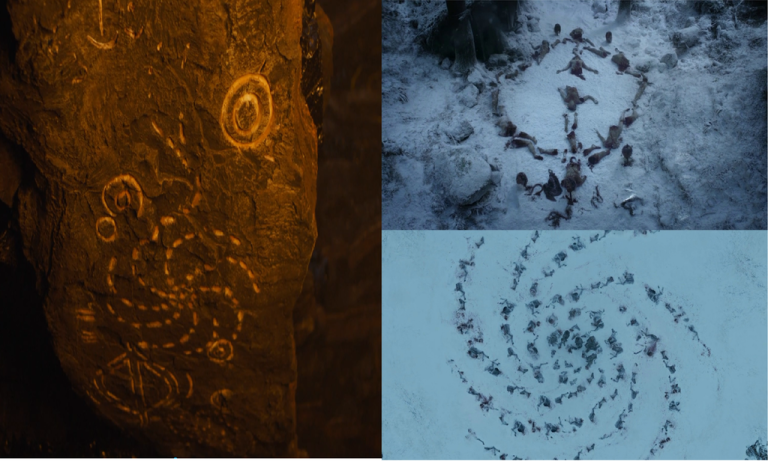 Remember how Jon Snow, filled with satisfaction over the fact that he finally knows something, dragged Daenerys into that cave to show her a bunch of drawings during Sunday’s Game of Thrones? The point of the excursion was for Jon to prove that their ancestors put aside personal grievances to fight a common enemy: The White Walkers. But the drawings themselves have a larger significance—as Reddit was quick to notice.